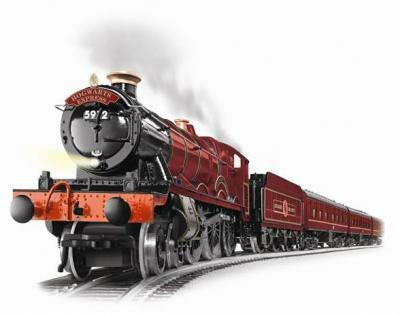 Harry Potter and the Hogwarts Express has come to life with this movie like train set by Lionel! Based on the best-selling books by J.K. Rowling and Warner Bros. movies, this die-cast metal steam locomotive includes a powerful maintenance-free motor, smoke, working headlight, air whistle and much more! The three passenger cars feature interior lighting and operating couplers.